Most people leave their pilot aptitude test with their head in a spin and wondering if they themselves aren’t just a little crazy. 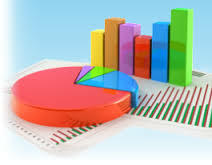 Unknown people behind the scenes are crunching the numbers, plugging them into a computer which will spit out a complete profile of your personality, strengths and weaknesses and the results will ultimately determine your suitability for employment. So what exactly is pilot aptitude testing? Where did it come from? What are they the airlines looking for and can we influence the outcome? Psychometric testing, according to the experts is the process of measuring a candidates relevant strengths and weaknesses. With the emergence of the Human Resources Departments airlines big and small are employing this technique with all new pilot recruits. No matter whether your interviewing for a check and training position, line pilot with the regionals or a career in the airforce you will most likely be sitting an aptitude test. This form of testing is primarily used to assess a candidate’s employment suitability, including whether your personality will fit culturally within the company profile. The “Compass Test” is a series of tests designed specifically to test pilots aptitude for the job. The compass test is currently the choice of airlines such as Emirates, Etihad and most airlines big and small. How then do we best prepare for your Pilot Aptitude Test? When it comes to cognitive testing i.e. numeric and spatial reasoning there is no doubt that a little preparation can improve your score. Through exposure you will start to recognize patterns and techniques and gradually see an improvement in your scores. Trying to influence the outcome of personality profiling gets a little tricky. Why? Because the idea is that there is no right or wrong answers just personal preferences, interests and motivations. The best way to complete personality assessments is by answering without too much thought; just go with your first instinct. Once again just remember there is no right or wrong answers, don’t get tangled up with trying to second-guess what the employer is seeking. If you have an upcoming airline pilot interview, air force interview or are expecting one in the future Flightdeck Consulting highly recommends purchasing a 60 day subscription to “Pilot Aptitude Test” software. 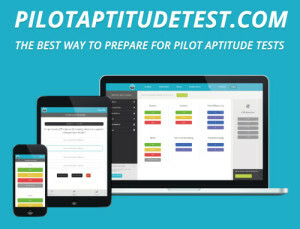 “Pilot Aptitude Test” software includes more than nine hundred theoretical questions in science, maths and aviation subjects, eleven psychometric tests that assess and help you improve your skills in spatial awareness, multi-tasking, memory capacity, hand-to-eye coordination, selective attention, as well as progress tracking tools that enable you to monitor your performance and online preparation planners that can help you establish a revision strategy. If you would like to learn more about “Pilot Aptitude Test” software click HERE or CONTACT US for a chat on how we can help you best prepare for your pilot assessment.